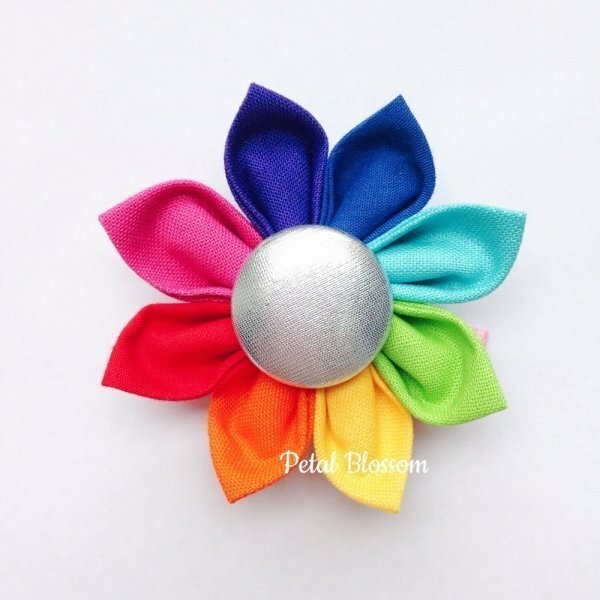 This truly is a bright & funky hair clip that any little girl is sure to love. 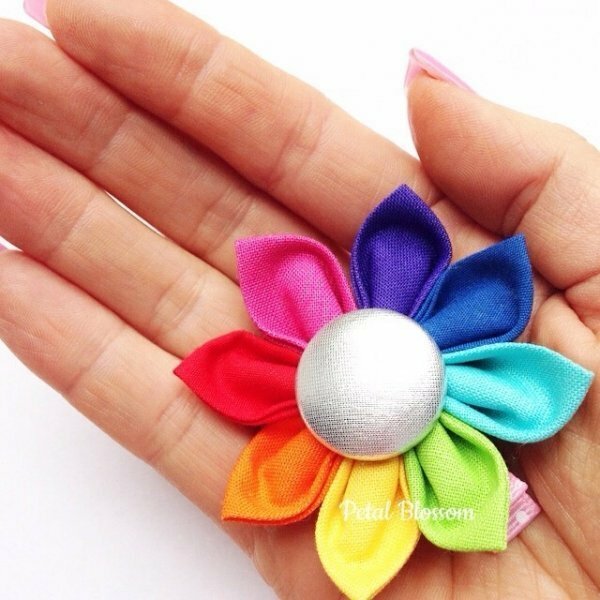 Featuring a colourful array of hot pink, royal blue, aqua blue, purple, lime green, sunshine yellow, red and orange, the fabric hair clip has 8 hand sewn petals, accented with a metallic siver button centre. Placed on a 4.5 cm non slip alligator clip. 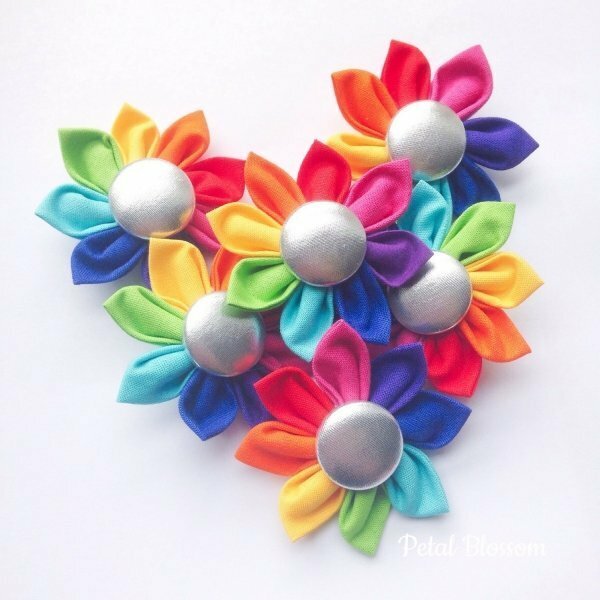 These hair clips are perfect Christmas stocking fillers or birthday gifts.